Started with Arm and Hammer Spinbrush Pro Sonic. Based on my dentist and dental hygienist’s recommendations and I looked around for an electric tooth brush. 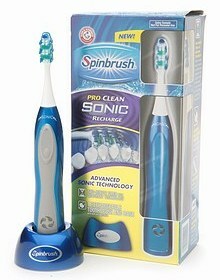 I was recommended a Sonicare toothbrush by some professionals. I consulted Consumer Reports magazine (using its online subscription) and decided to go with Arm & Hammer Spin Brush Pro Sonic Recharge. I started to use it today. I did four separate thirty second routines. I will use it for several months to see the difference. I had taken half day off and around 3:15 PM VTS and I drove to the newly constructed Eastside Branch Library. Since it was only 3:25, we went walking around the library and checked out the Pedrick pond and the park. The Grand opening was planned for 4:00 PM but until it didn’t begin until 4:10 PM. There was heavy traffic and parking lot got full by 350 PM. The ceremony began with the welcome message by Mr Vincent Long, Leon County Administrator. The Chairman of Leon County Commission Mr Dailey delivered the opening remarks followed by Kristen Dozier, County Commissioner (Seat 5). Then around 4:40 PM we entered the Eastside Branch Library. It was really nicely constructed with lots of space and quite areas. GS will be the full-time Information Professional. There will be a meeting room. We signed our names on visitor log. There were some light refreshments and drinks. We met lots of friends in the library. We stayed until 5:45 PM and got home.